When U.S. Representative Rangel went on Face The Nation on Sunday and dropped his ‘let’s reinstate the draft bombshell,’ I don’t think he expected that so many people would believe he was serious. Rangel, sly old fox that he is, made his proposal to reinstate the draft as a jab at all the legislators who support the Iraq war as well as those who are promoting military options to combat threats by Iran and North Korea. He want’s them to see what he perceives to be the inevitable result of a military stretched to and beyond its limits. A serious proposal or a political ploy, either way, Rangel has started (or re-started) a National debate on the draft that has both the supporters and detractors of the draft pulling out their best arguments and that’s a healthy thing for America. I am heartened by the number of Americans who see the benefits of a mandatory period (most say two years) of military service or public service by every American as he or she graduates from High School and before starting college or that first full-time job. No deferments except for serious health concerns! The concept that the benefits of being an American comes with an obligation has long been removed from our society and we are worse off for it. Too many Americans have grown, in a civic sense, to be fat, lazy and self-important. Too many Americans seem to feel that they owe nothing to America but, just the opposite, that America owes them a good life. I join those who think that Rangel’s proposal (or ruse) is a seriously good idea. A mandatory period of either military service or service in some position that benefits greater society is one way to start a cycle that will eventually bring America back to the proud society it once was; and with pride comes strength. To those who would rather leave the country rather than serve it: Bye! Sgt. Mom at the Blogger News Network: Caught in the Draft? “We tried to do our best, but I think there is much room for criticism because, undoubtedly, there was arrogance and there was stupidity from the United States in Iraq. Fernandez’s accusations of “stupidity” and “arrogance” on the part of the U.S. made headlines around the world and earned a quick rebuttal from an “anonymous” senior Bush administration official: “Those comments obviously don’t reflect our position,” he said. The official rebuttal came later from U.S. State Department spokesman Sean McCormack who suggested that Fernandez himself denies that the translation is an “accurate reflection of what he said.” Officially, McCormack denies that history will reflect any stupidity or arrogance on the part of the United States. 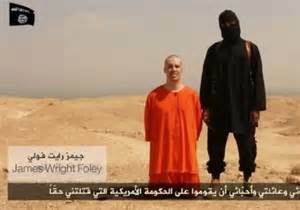 A terrorist on television who is arrogant and stupid enough to claim that terrorist tactics could ever bring the U.S. to its knees. A diplomat on television who is arrogant enough to tell what he sees as the truth rather than reflect the “official position” of his government. A U.S. State Department official who is arrogant enough to deny the truth of the situation and who believed that the American public is stupid enough to believe his denial. In spite of the “official” U.S. response, I believe even a casual observer of U.S. actions in Iraq would agree with Fernandez. Yes we were arrogant to assume that we could turn a Muslim nation into any kind of democracy in less than ten to twenty years and yes we were stupid to assume that there would just be an anemic resistance to our presence in the region, a resistance that could easily be dealt with. That may not be a “diplomatic” assessment by todays definition of the word but it is honest.